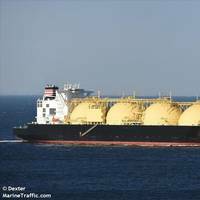 The first contractual liquefied natural gas (LNG) cargo from Dominion Energy Inc's newly constructed Cove Point LNG export plant in Maryland in the United States left the facility on Monday, Thomson Reuters Eikon ship tracking data showed. 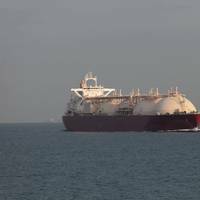 The cargo is expected to act as a drag on spot LNG prices <LNG-AS> as it coincides with the resumption of exports of the fuel from the Papua New Guinea LNG plant, which had been shut following a powerful earthquake. 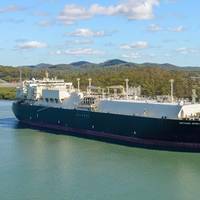 The 160,000-cubic metre LNG tanker Adam LNG left Cove Point on Monday with a draft of 91 percent, suggesting it was full, according to the data. A coastal Oregon county overwhelmingly rejected a ballot measure aimed at blocking a proposed natural gas terminal dealing a blow to what was the latest in a series of efforts to thwart energy projects across the Pacific Northwest. The measure, had it passed, would have banned transport of fossil fuels not intended for local use through Coos County, located about 200 miles (322 kms) south of Portland. Around 76 percent of votes were cast against the measure, with 24 percent in favor, according to unofficial results posted on the Coos County government website late Tuesday. 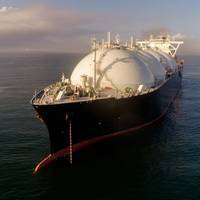 A coastal Oregon county will vote Tuesday on a ballot measure to block a proposed natural gas terminal, the latest in a series of efforts to thwart energy projects across the Pacific Northwest. The measure would ban transport of fossil fuels not intended for local use through Coos County, located about 200 miles (322 kms) south of Portland. Backers have called the initiative a response to a $7.6 billion proposal by Calgary-based Veresen Inc, to build a facility in the county where natural gas would be liquefied and transferred to tanker ships for sale abroad. 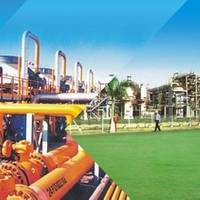 Indian state-owned gas company GAIL has reached a deal with Swiss energy trading firm Gunvor to swap American liquefied natural gas (LNG) cargoes for shipments from other sources, Reuters reported. 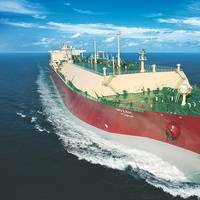 It is the first time-swap agreement by GAIL, which is trying to juggle its LNG portfolio to cut costs for price-sensitive Indian customers after a sharp fall in Asian spot prices made its U.S. gas unattractive. 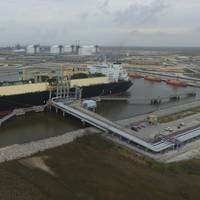 GAIL will sell Gunvor 0.6 million tonnes of next year's LNG cargoes from Cheniere at a premium to GAIL's contracted price, FOB Sabine Pass, Louisiana, under the terms of the deal. U.S. federal regulators on Monday approved construction of Dominion Resources Inc's liquefied natural gas export project in Cove Point, Maryland. Cove Point is the fourth U.S. LNG export project to get the green light to begin construction from the Federal Energy Regulatory Commission. 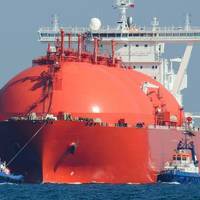 It will be able to export up to 5.75 million metric tons of LNG a year when fully operational. 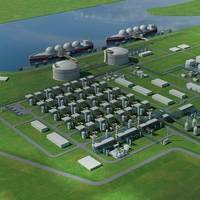 Dominion's facility is one of about two dozen projects that hope to ship a growing bounty of domestic natural gas to countries in Asia and Europe. The Cove Point site, a little more than an hour's drive southeast of Washington, D.C. on Chesapeake Bay, boasts four large storage tanks and a pier built in the 1970s to import LNG from Algeria, underscoring just how much U.S. market dynamics have changed. It was the late 1970s and El Paso Energy ran a liquefied natural gas (LNG) terminal known as Cove Point in the heart of the Chesapeake Bay — midway between the East Coast ports of Baltimore, Md. and Hampton Roads, Va. As the demand for gas waned, the terminal ceased operations after only two years, and it sat dormant for nearly two decades. 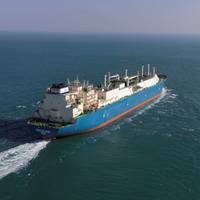 Today the market for LNG is rising fast, with positive ripple effects being felt across the maritime niche. Two tug companies — McAllister Towing and Moran Towing, were tapped to help bring the terminal back to life, winning the contract to dock some of the world's most expensive ships. Ensuring that the job is done correctly has required a significant investment in boats and training. 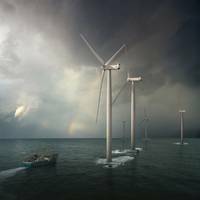 — By Regina P.
A non-binding letter of intent has been signed by Statoil with US-based Dominion energy company. This gives Statoil the exclusive right to negotiate a deal which will secure access for the group to extra capacity at the Cove Point liquefied natural gas (LNG) terminal in Maryland. 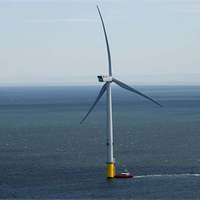 If the agreement is concluded, Statoil will take the entire capacity increase for a 20-year period. The group will thus more than quadruple the amount of capacity available to it at the terminal. Dominion is planning to expand the capacity at the terminal, where LNG is stored and regasified before being piped to customers. The expansion includes two new storage tanks with a total capacity of approximately 195 million cubic metres.